For Ohio State, its next game against Cleveland State is more than just getting another win. It’s more than continuing a five-game win streak to start the season, keeping that No. 23 ranking heading into next week’s game against Syracuse in the Big Ten/ACC Challenge. It’s winning in a building that the Ohio State men’s basketball team has not played in since 2010, the building the Buckeyes played in from 1956-1998. It’s walking in the same steps of Jerry Lucas, of John Havlicek. The undefeated Buckeyes will try and continue its winning ways in St. John Arena against Cleveland State. 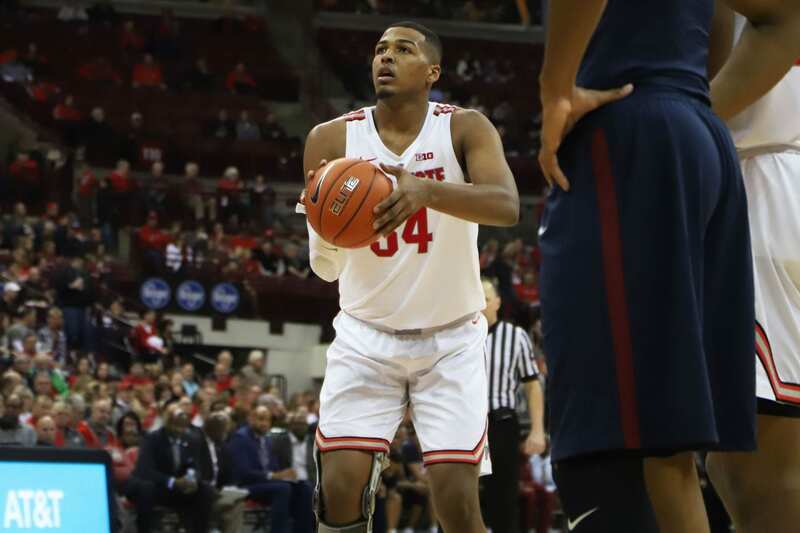 For Ohio State sophomore forward Kaleb Wesson, this game means a lot. He will be playing in the same building his father, Keith Wesson, played in for Ohio State from 1982-1987. But he has another thought on his mind as well. Ohio State, coming off a 68-50 win against Samford on Tuesday, will face a Cleveland State team that has had its share of struggles early on in the 2018-19 season. The Vikings have a 2-3 record heading into Friday’s game, falling to Samford 73-60 on Nov. 18, and rank No. 312 out of 353 teams, according to advanced statistics website KenPom.com. Sophomore guard Tyree Appleby has been the main offensive threat for Cleveland State through the first five games this season. Averaging a team-high 13.8 points per game, he is shooting 39.2 percent from the field, attempting 51 total shots this season, 13 more than any other player on the roster. Sophomore forward Stefan Kenic has been the Vikings main threat in the paint, averaging five rebounds per game and making 46.9 percent of shot attempts from the field. He is also a threat from deep, making eight of 17 attempts from 3-point range this season. But Cleveland State’s leading rebounder is not usually in its starting lineup. Junior forward Jaalam Hill averages six rebounds per game off the bench for the Vikings, is shooting 60 percent from the field, making three of four attempts from 3 and is averaging 9.6 points per game. Ohio State head coach Chris Holtmann said he is excited for Friday’s game against the Vikings, saying he is excited about the atmosphere that a sold out St. John Arena brings. But he also said this is something that could work against the Buckeyes, who are aiming to get their sixth win of the season. But the excitement is there and Holtmann is excited for what’s to come on Friday. No. 23 Ohio State takes on Cleveland State at St. John Arena at 8 p.m. on Friday. OSU needs to restore St. John’s and play more Basketball Games there, that place rocks! !